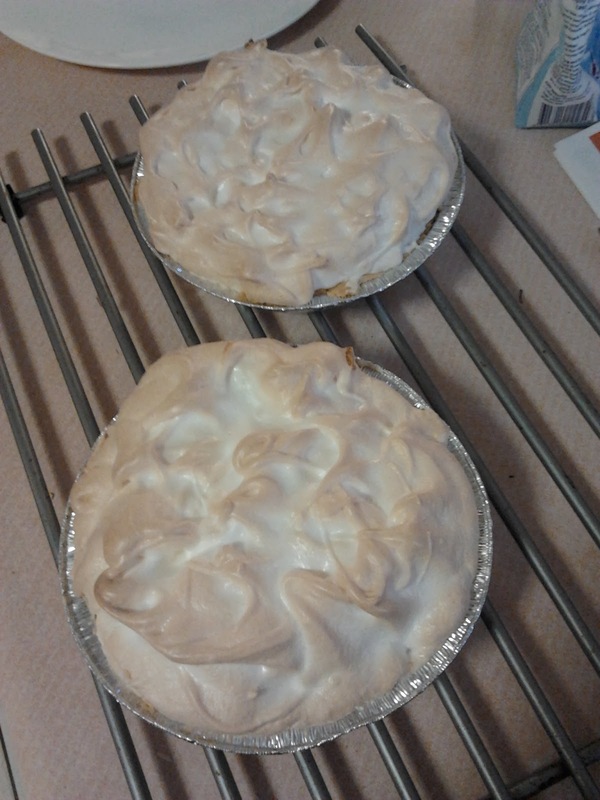 PaSBA #3: Ultimate Lemon Meringue Pie!! This time our recipe was sourced from bbc, boisterously name Ultimate Lemon Meringue Pie, this recipe proved to live up to its name. Lemon meringue pie, for the uninitiated, is a crispy buttery shortcrust pastry filled with sweet yet tart lemon curd and finally topped with fluffy light-as-clouds meringue. Before making this recipe I had personally never sampled this delectable treat, though I'd seen it often enough in bakeries to make me crave something I have never tasted. Oh well. The idea of it sure sounds saliva-inducing enough. The real thing was too. 1) Whack all ingredients into a food processor, process till dough-like. Flatten evenly into pie baking pans. Leave in refrigerator 1 1/2 hours. Blind bake* in Oven,200C 15min. Remove Baking paper, bake another 5-8 minutes. 1) Combine cornflour, sugar and lemon zest in a saucepan. 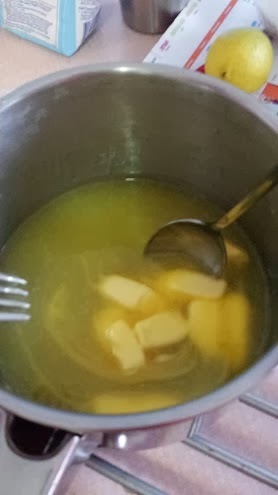 Gradually stir in strained lemon juice. 2) Pour water into orange juice till total amount is 200ml, strain into pan. 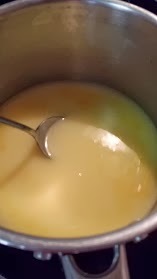 3) Stir constantly over medium heat till thickened and smooth. 4) remove from heat and beat in butter until melted. 5) Beat eggs and egg yolks together and stir into saucepan. Return to medium heat. 6) Stir vigorously until mixture thickens and plops off spoon. Remove from heat and set aside. 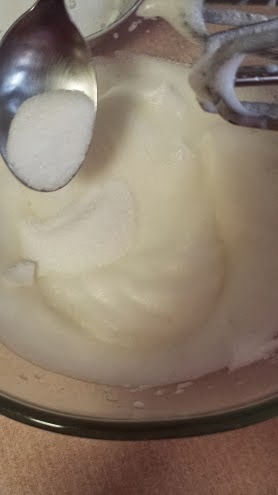 1) Whisk egg whites to soft peaks then add half the sugar in a spoonful at a time. Beat lightly in between. 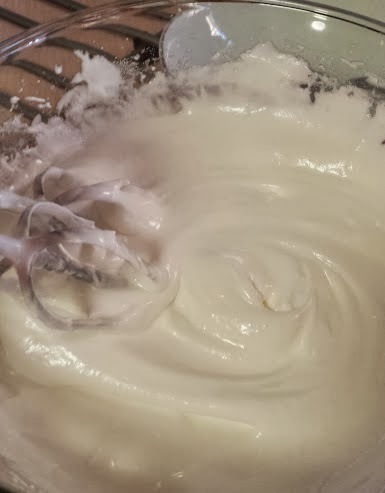 2) Whisk in cornflour followed by the other half of sugar also a spoonful at a time. 3) Reheat filling and pour into pastry case. 4) Put spoonfuls of meringue around the edges of the pastry case to anchor it. Put the rest of the meringue in the middle spreading it evenly. 5) Place in oven for 18-20min until meringue is slightly browned and crispy. 6) Allow to sit in pie tin for 30 minutes before removing. Allow to rest another 30-60 minutes before cutting and serving. Note: Blind Baking is usually used in recipes calling for tart bases; this is to ensure that the pastry is thoroughly cooked and crisp. To blind bake simply cover the pastry with baking paper and weigh it down with dry beans, lentils or rice. Taste: 9/10. Absolutely delicious! The light sugary fluffiness of the meringue was the perfect accompaniment to the tartness of the lemon curd. Texture: 8.5/10. On the whole the texture of the mreingue and lemon curd was perfect. However the crust was a bit of a let down it didn't hold it's shape very well making plating a nightmare though it did add an additional but of crunchy texture to the meringue which worked quite well. Difficulty: Easy-Medium. Not too difficult, though definitely harder than sticking all the ingredients in a bowl and just going crazy with the beaters. Do proper preparation, get all your utensils and ingredients out before you start the curd and meringue and it should be not problem at all. Overall: 9/10. Definitely worth making again though I'd probably replace the crust with a digestive biscuits crust or a basic pre-made shortcrust pastry. Taste: 9/10. Perfect balance of sugar and citrus flavours. Texture: 8/10. The meringue was very light and soft. 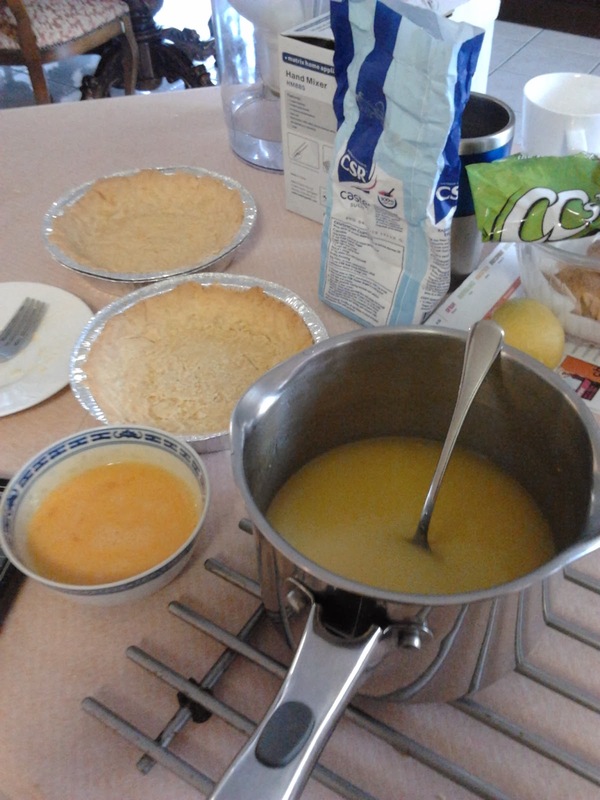 Make sure to put the pie in the fridge to chill and for the lemon custard to set. The tart base could be thicker. Difficulty: Medium-Hard. There were quite a lot things to do and keep track of. Overall: 9/10. Loved this dessert.